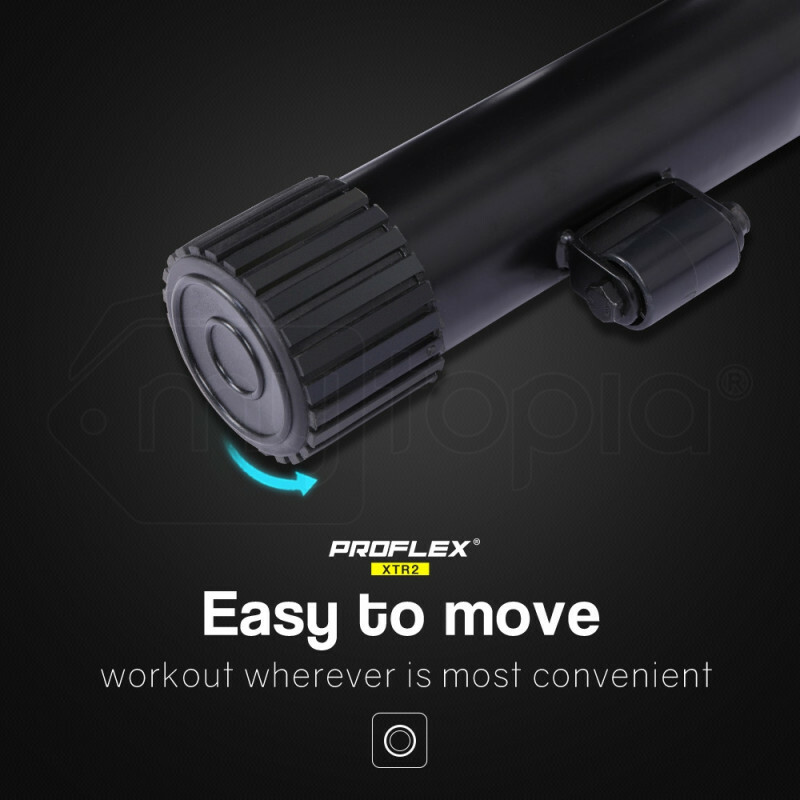 Available here: https://www.mytopia.com.au/hpf-4in1-cross-trainer-xtr2/ Offering adjustable resistance and working your muscles from top to toe, your HPF cross-trainer will have you toned and healthy in no time. And you can watch it all happen on the easy-to-read LCD display. So stop seeing obstacles and start seeing results. Your fitness is just a mouse-click away. 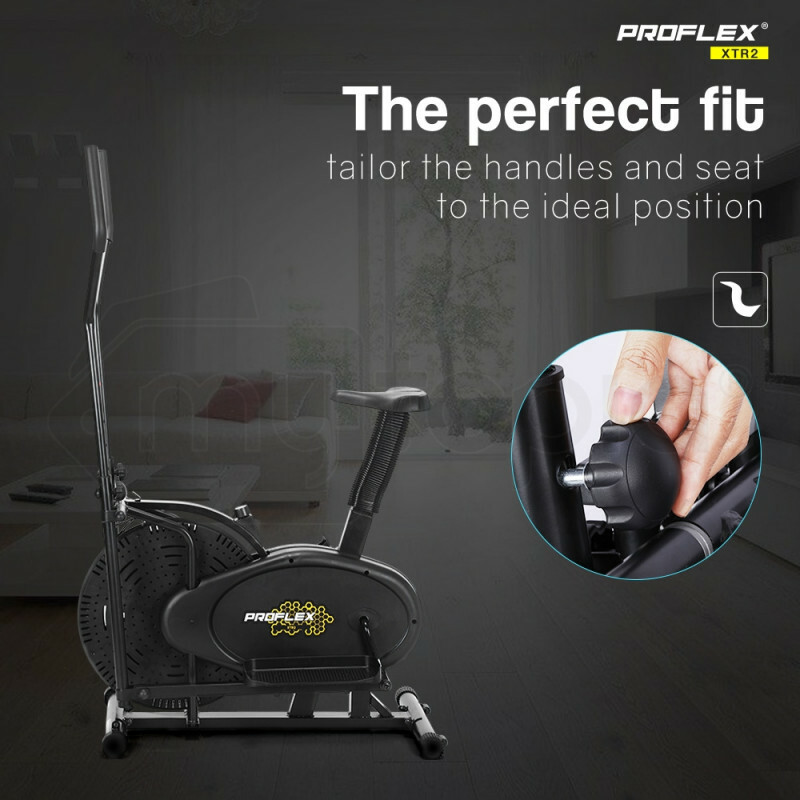 Get ready to work your muscles from top to toe and get your muscles toned and ready in no time with your Proflex XTR2 Elliptical Cross-trainer. 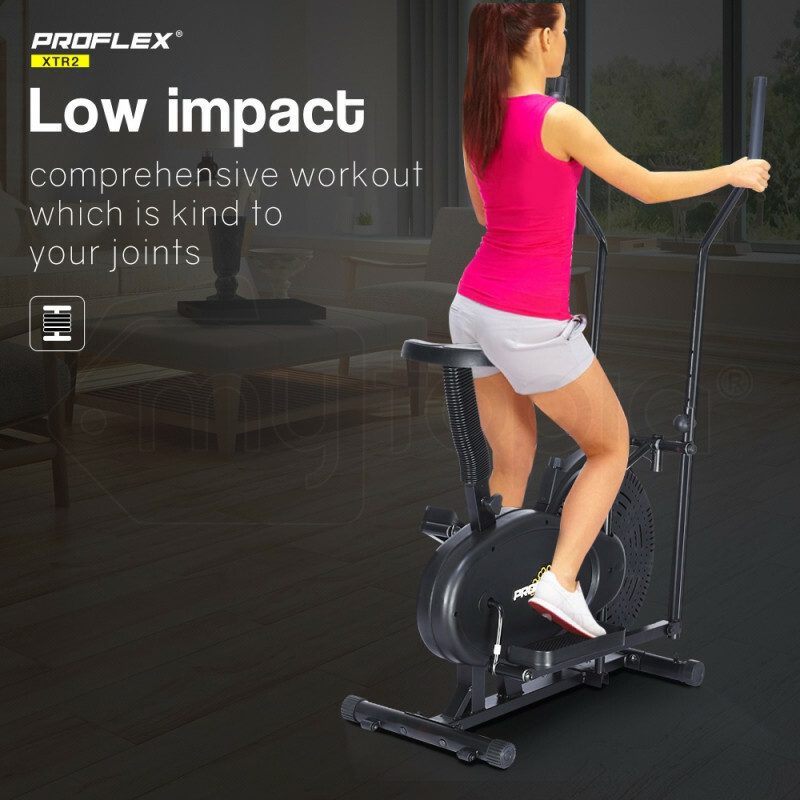 The Proflex provides you with a full body workout that burns more calories than cycling or swimming without putting a lot of impact on your joints. 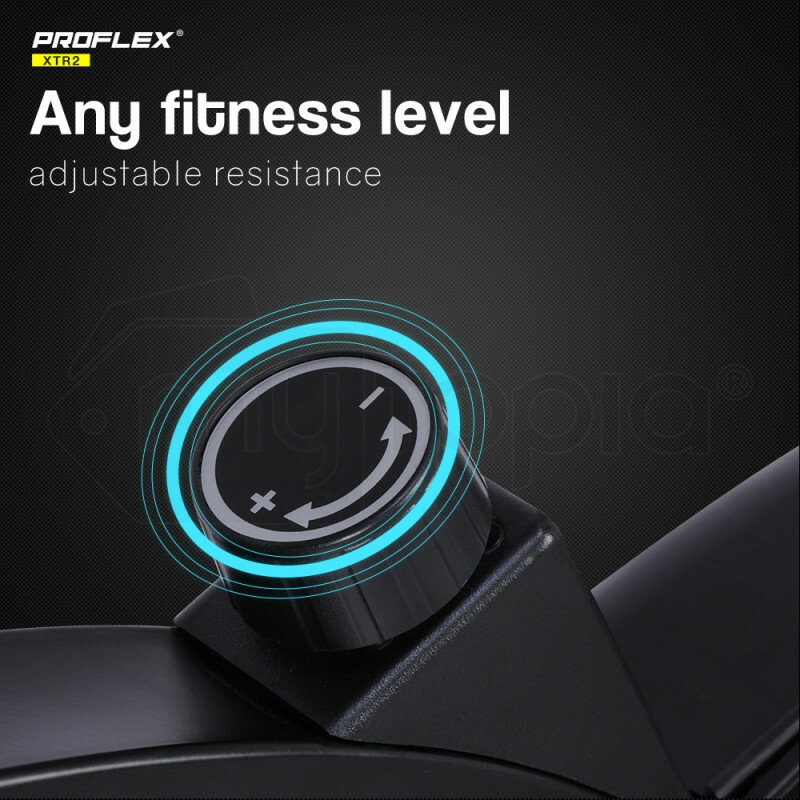 With you own Proflex, getting fit is a cinch. 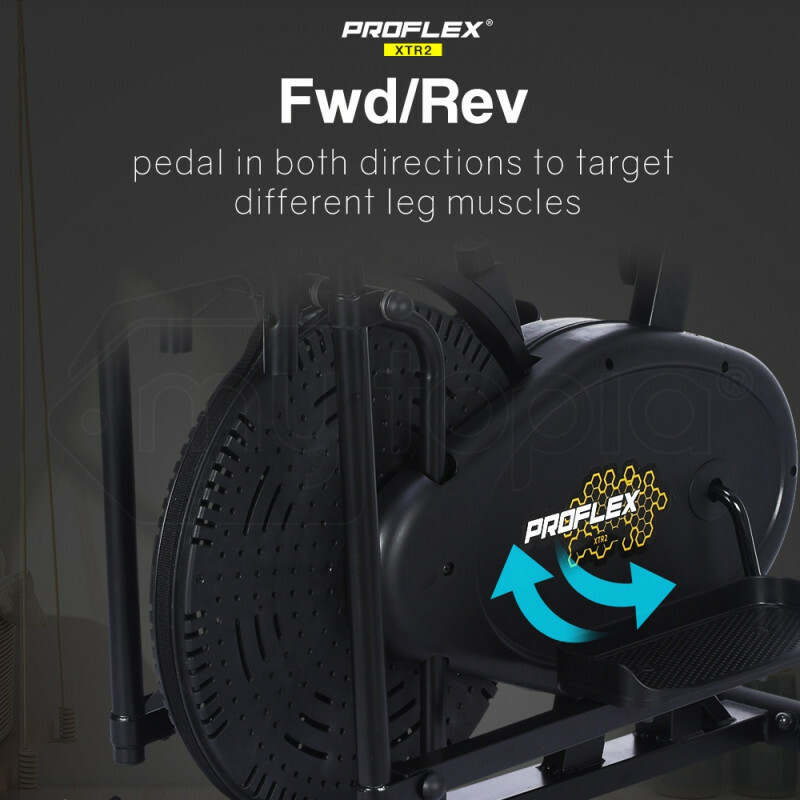 Its forward and reverse elliptical motion and adjustable resistance ensures that it hits all the major muscle groups. 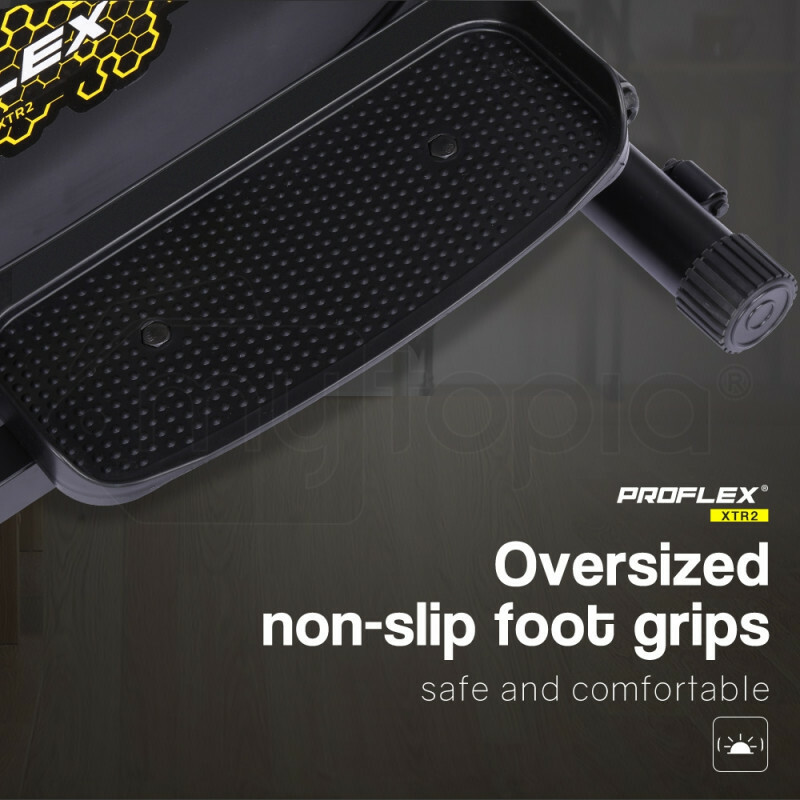 And its adjustable seat and rubber-clad pole grip ensures that you stay comfortable while you work out. 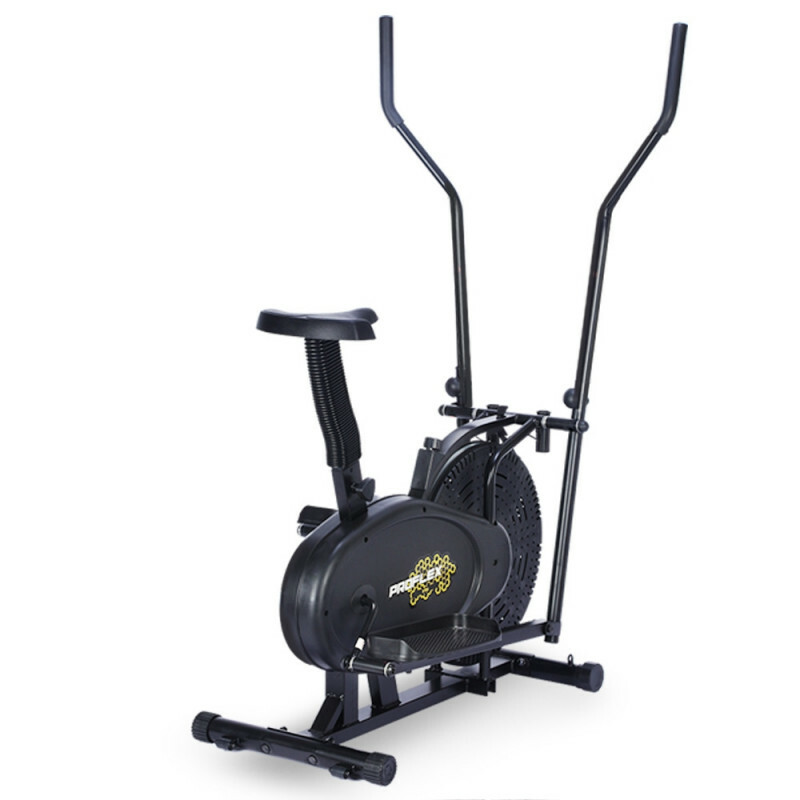 This is the one and only piece of training equipment that you need to achieve you strength and stamina goals. 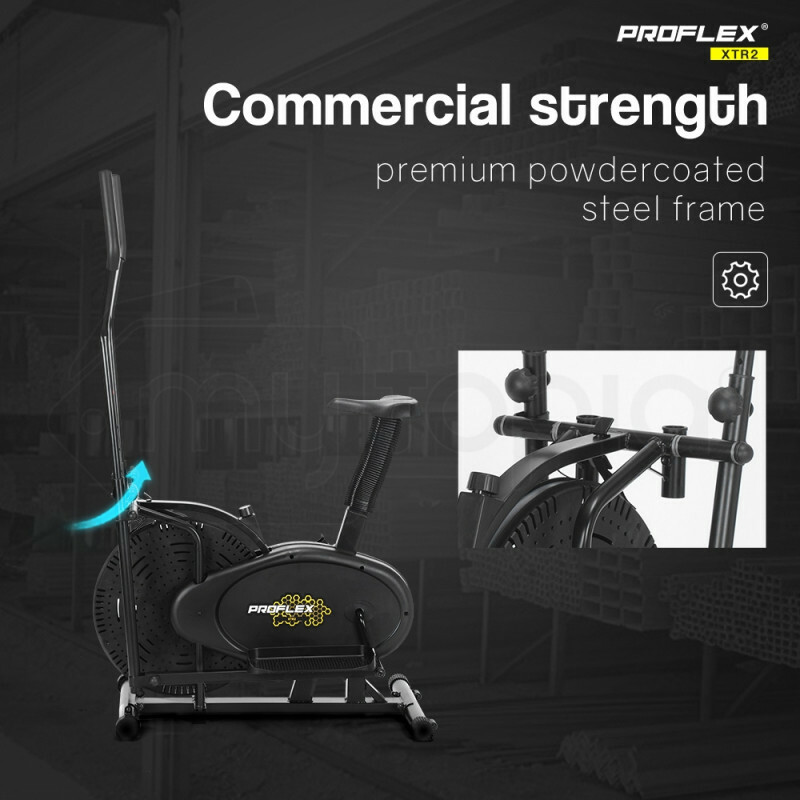 Best of all, the Proflex cross-trainer lets you work out whenever you want. 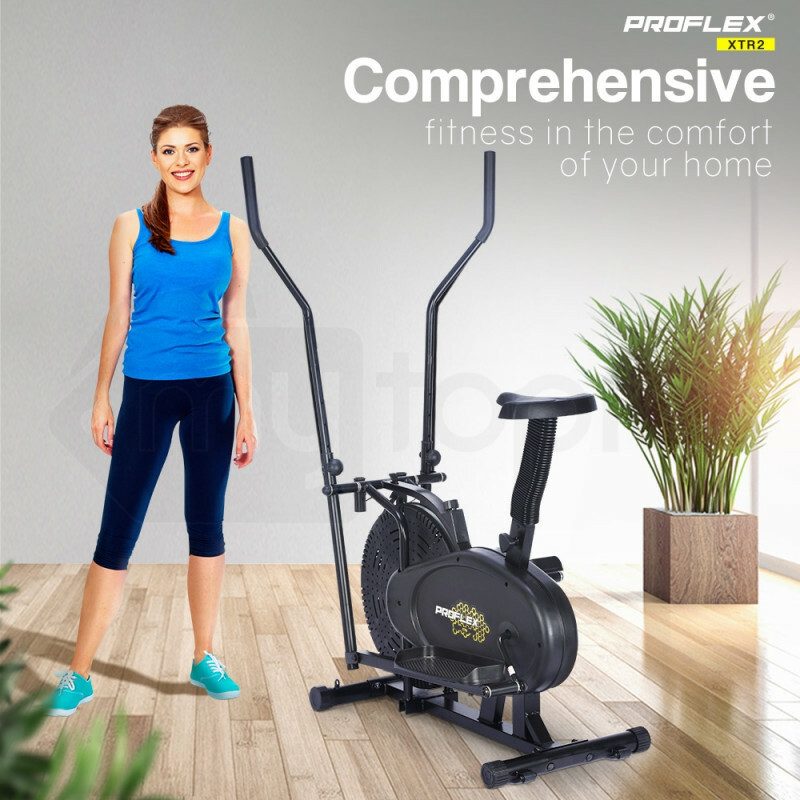 No need to go to the gym when you the Proflex gives you a complete workout from the comfort of your own home. 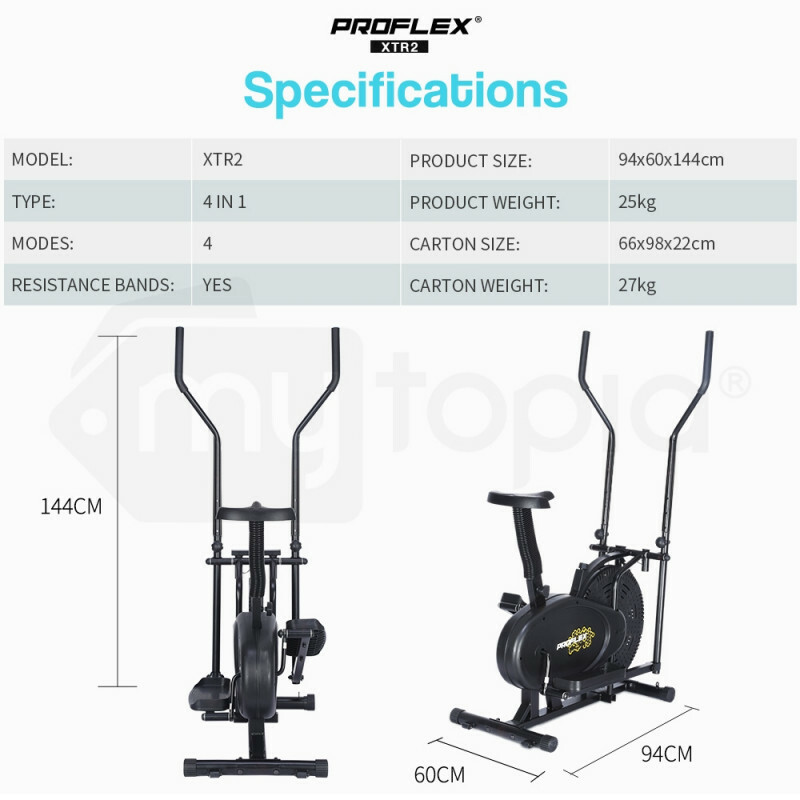 Download the manual for FTNXTRPRFAXV2 for detailed instructions on using your product. 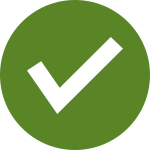 View Related Parts Need spare parts? We have spare parts compatible with FTNXTRPRFAXV2.